I have fond memories of my young childhood, in particular of spending time playing and reading with my mum. One of our favourite shared activities was spending hours with a set of ‘three four five basic learning books’. These were song and rhyme books with accompanying records (we called them paper records because they were thin and floppy). We used to play the records, read the books and sing along, play the games or learn the actions together. 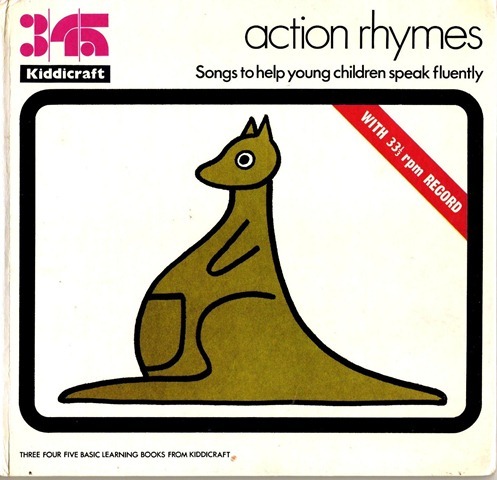 The books were designed to encourage learning through play at home and each book has a forward that outlines how to use the songs and rhymes and the benefits that doing so will bring. The forwards discuss the importance of rhyme and song are in preparing children to learn to read .The text is uncluttered ,each book containing around 10 songs, 1 on each page and the illustrations are simple but eye-catching. The impression created by the author Iris Grender, a mother and nursery teacher, is that the main focus of the books is to promote the foundations of literacy through play and not to make bold claims about promoting intelligence. This is a far cry from so called educational toys today, most of which are electronic , expensive and limited in what they do. The key difference however is that toys, books and cd’s today do not encourage interaction between parent and child but are perceived as a magic formula to make a child intelligent. In my experience children quickly tire of such things once they have mastered what they can do and move on to the next thing. My children (aged 6 and 2) now have the above set of books and love them. I can still remember the tunes to the songs even without the records (as we no longer have anything to play them on). As always it is the inexpensive simple things that stand the test of time.